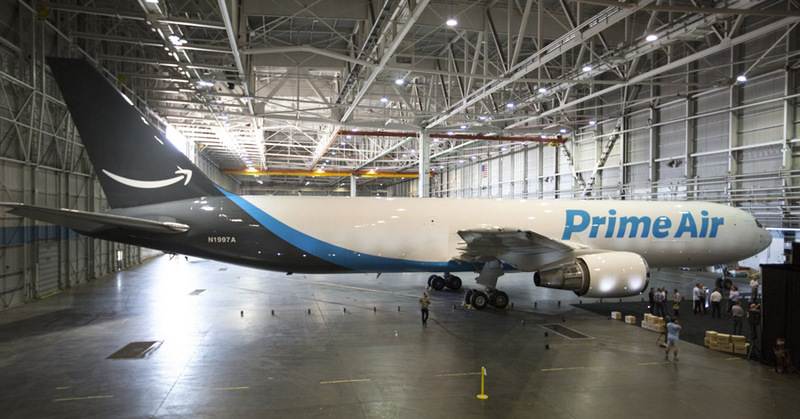 At the Seafair Air Show in Seattle, Amazon showed off its first branded Prime Air cargo plane, named the Amazon One. Atlas Air will be in charge of operating the Boeing 767-300, which is only one of the 40 the company will lease through its partners Atlas Air and ATSG. “Creating an air transportation network is expanding our capacity to ensure great delivery speeds for our Prime members for years to come,” said Amazon. At the moment, Amazon has 11 Prime Air planes taking to the skies, with more in production.